In the wide world of sports, golf is arguably one of the most challenging to participate in. Between the hot or terrible weather conditions, the wind changing at a moments notice, the difficult-to-master ability to size up the course for accurate shots, and the pants, we find that we’d much rather stay home than try to live out our Happy Gilmore-like fantasies. Luckily, there’s a game to help us enjoy the sport without the aforementioned experiences. Mini Golf Club is a universal game that was initially released on December 17 and works across your smartphone, tablet, and PC and delivers a life-like golfing simulation to your touch screen. The name of the game in Mini Golf Club is the same as a regular game of golf. You must hit the ball into holes on various courses with as few strokes as possible. There are over 50 interactive holes to choose from, each with its own unique obstacles. These obstacles include ramps, sand traps, special boosters and portals. Boosters like wind zones or jump areas physically accurately interact with your ball. 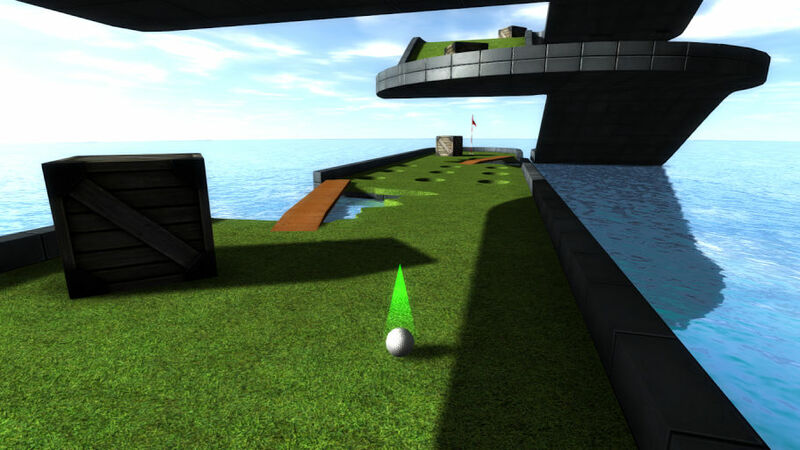 The games advanced physics engine gives Mini Golf Club high replay value and gives you a different experience even if you play the same level multiple times. Mini Golf Club can be downloaded free of charge via the Windows Phone Store using the QR code or the Windows Store using this link.